The last decade has seen international arbitration in the Middle East and North Africa (MENA) flourish, with more and more users turning to arbitration rather than litigation as a means to resolving their commercial disputes. 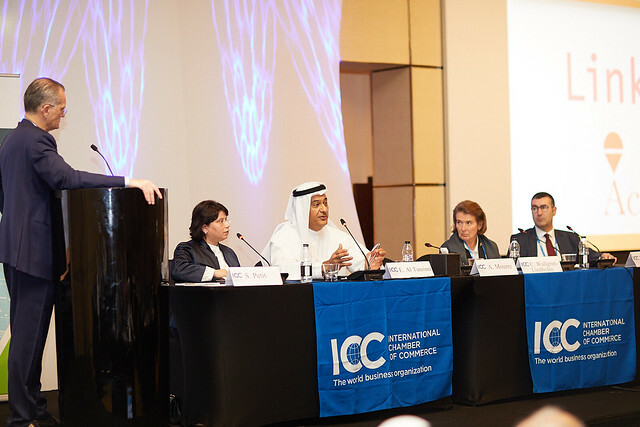 This evolution and expansion of international arbitration in the region is the focus of ICC’s annual MENA Conference on International Arbitration. Save the date for next year’s 7th ICC MENA Conference, which will take place on 4 March 2019 in Abu-Dhabi. The Advanced ICC Institute will take place on 3 March 2019. Tailored to professionals wanting to keep up to date with the latest arbitration developments in MENA, the event is the preeminent meeting place for practising lawyers, corporate counsel, arbitrators, mediators, business professionals and academics coming from or doing business in the region. The conference offers an unrivalled opportunity to engage in topical discussions with some of the world’s leading arbitration experts who can be trusted to provide pertinent insight into the MENA region’s changing and challenging perceptions. From analysing recent state court arbitration decisions in various MENA jurisdictions to examining current issues and potential pitfalls in arbitrating energy disputes involving MENA parties, ICC’s Annual Conference on International Arbitration in the Middle East and North Africa delves into the emerging issues specific to the MENA region and provides the tools necessary to combat the changes and challenges in this ever-expanding field. Between 2004 and 2013, ICC saw the number of cases involving parties from North Africa alone increase fourfold, demonstrating the rise of arbitration as an appealing alternative to litigation in the region over the last decade. – Sami Houerbi, ICC International Court of Arbitration Director for Eastern Mediterranean, Middle East & Africa. Stay up-to-date will all the latest ICC MENA Conference information by following @ICC_Arbitration via Twitter and be sure to use the official event hashtag, #ICCMENA.